While supporting local businesses is my preferred way to shop, I have to give credit where it's due. Aldi sometimes really dishes up the goods. 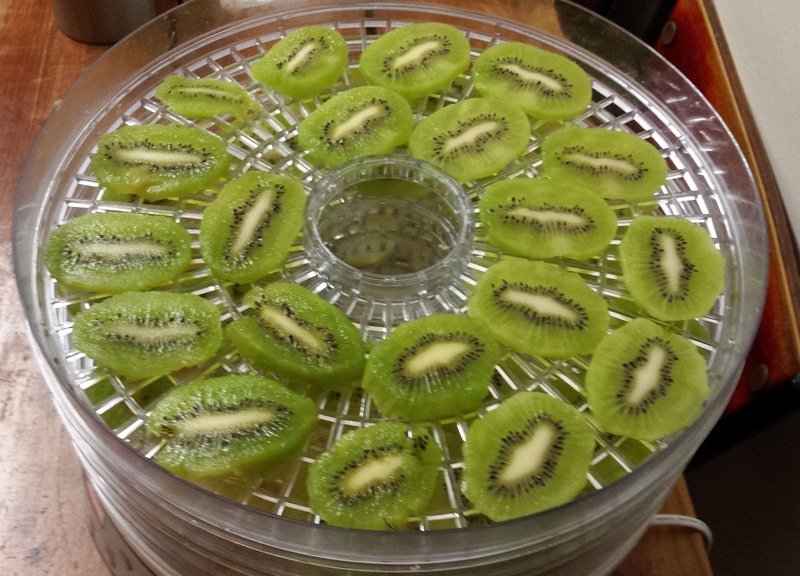 This 5-tray dehydrator, at around 40 bucks, turns an excess of fresh fruit into chewy, flavour-packed, long-life, really tasty snacks. Once the fruit's been dehydrated, the sugars get more concentrated, so it's very sweet and, of course, hasn't got all those nasty sulphurs in it that most bought dried fruit has. You also get to arrange the fruit in nice spirals like I did with the plump, smiley kiwis I spotted at a local store - and check on them every few hours to remove what's ready and rearrange what's not. The dehydrator pops up at Aldi about twice a year. Let me know if you're interested and I'll give a shout out here when I next see it.